Service Provider of Turnkey Automation Projects. Our product range also comprises of Proximity Switches, Safety Switches and Trip Indicator. 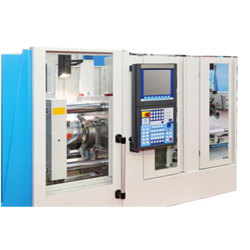 We are a reputed organization that is engaged in manufacturing, supplying and exporting optimum quality Complete Turnkey Automation Package. These products are manufactured under the close supervision of our experienced professionals using high quality material. The material brought into use for manufacturing is sourced from certified vendors of market. We are instrumental in offering a wide range of Turnkey Automation Projects to our prestigious clients at the leading market prices. Our offered service is ideal for long time use at the clients' end. These services are rendered by highly skilled professionals. We assure safe and timely delivery of these services. Looking for Turnkey Automation Projects ?